Any organization that stores data electronically has a backup solution of some kind. Long gone are the days where you can gamble and go unprotected. The demands of the business world today not only require a backup solution, but a disaster recovery solution as well. Disasters are a matter of “when,” not “if.” Most organizations have a backup solution and a disaster recovery solution, but they fall down when it comes to a plan to use them. This may sound like a scare tactic, but the truth is having an IT disaster recovery plan is a necessity in an unpredictable world. Conduct a business impact analysis. Document all the threats you can conjure up and their potential impact on your business. Then, calculate the cost by units of time to find the recovery time objective (RTO) and recovery point objective (RPO). Consider the effects of lost productivity, missed sales, brand damage, and lost progress. Audit of Resources. Backing up and recovering data and systems quickly can get expensive, so it is important to know what assets must come back up immediately, and what can wait. This is where tough decisions need to be made based on the type of business you are in. If you are in eCommerce, getting your website back online is your top priority. Location of Data Backup. Most DR plans backup data to multiple locations, such as the cloud, on servers, on premises, and remotely. The location will affect certain performance metrics, including failover and failback times, and how quickly backed up files can be recalled. The cloud tends to be the safest, most versatile solution, especially for virtual environments. Regardless of the type of solution you chose, ensure your data backup locations are spread apart in case a disaster hits multiple locations. Chose the Right Solutions. This step is crucial. 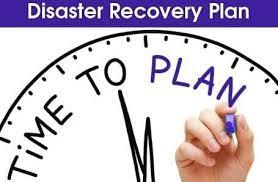 You need to chose a backup and disaster recovery solution that gives you the best chance of hitting step 1 above. Also consider step 3. You need to not only purchase the software, but what hardware is necessary to support these solutions. Test, Test, Test. Disaster recovery tests are disruptive, but necessary. The test itself is usually simple: turn off systems, then turn them back on again. Things can easily go wrong, especially for the initial test, so choose a test time wisely, and have a Plan B if the systems fail to come back online. The best time of year for a DR test tends to be at the beginning of a disaster season, such as Hurricane Season in the Gulf south. The more you can test your solution and plan, the more prepared you will be in an actual event. Frequent disaster recovery tests are key to determining whether your current business continuity and disaster recovery plan is reliable. One variable that can make or break your IT disaster recovery plan is people. Once you have your plan created, it is important to also plan out who is responsible for what. Even the best plans can fail if you don’t have the personnel trained and informed on what role they plan. You also need a partner you can trust. It is hard to navigate your security solutions and IT disaster recovery plan without outside help. 2W Tech is a full-service IT Consulting Firm that specializes in security solutions. Give us a call today and let us help guide you through your security journey.